The Youth Team - older boys and girls from all over the Diocese - is fully integrated into the pilgrimage, helping to push the wheelchairs for our sick, frail or feeble pilgrims; helping with practical matters, assisting with carrying banners and equipment. There are usually about 70 in the Youth Team, who also share in their own activities – visiting the City of the Poor, attending the Torch Light Procession, having special times of prayer together and enjoying recreational times too. How can I get selected as part of the Derry Diocesan Lourdes Youth Team? 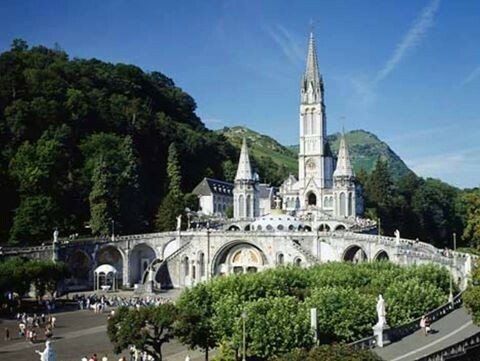 The Derry Diocesan Pilgrimage to Lourdes is from 4th July until 9th July 2019. The cost of youth participating in the pilgrimage is £550. This includes, flights, transfers, accommodation, full board and 5 pilgrimage T shirts. Successful applicants will be notified by 11th February 2019 and will be required to secure their place by paying a deposit of £100 at that stage.